From the moment Madonna started writhing around on a wedding cake during her performance of “Like A Virgin” at the first ever MTV Video Music Awards in 1984, the award show gained a reputation for celebrating spectacle. Whether it was Diana Ross copping a feel, Kanye West storming the stage to denounce Taylor Swift, or Miley Cyrus and Robin Thicke introducing white America to twerking, the VMAs hasn’t exactly tried to shed its image of controversy and over-the-top antics. On the contrary, MTV seems to have embraced it wholeheartedly as a very effective marketing tool (see: naming Miley as this year’s host). Yet while coverage of the show every year seems to elicit the same chorus of “The VMAs are trash” and “MTV doesn’t care about music videos,” all the negative commenters seem to overlook the fact that the VMAs might be the only award show that doesn’t pretend to be something it’s not. As much as viewers love awards shows, the reality is that in the modern day, they are designed primarily to generate headlines and ad revenue. During these events, the passion, talent, and hard work of so many artists is boiled down into an easily consumable, highly subjective category of “best.” The awards themselves can feel like an afterthought, as the winners’ heartfelt speeches are often cut short by show producers working to ensure enough time for performances and highly lucrative commercial breaks (Billboard reported that 30-second spots during this year’s Grammy Awards sold for an average of $1 million). Viewers watch as the life’s work of an artist is deemed awardable—not by some objective “Music God,” but by industry executives with their own agendas. The outcomes and overall presentation are far more manipulated and audience-tested than the average viewer is led to believe, (as The Wall Street Journal found out when it reported on the Grammys’ Secret Review Committees), creating an event that is less about talent and more about making money. As much as viewers love awards shows, the reality is that in the modern day, they are designed primarily to generate headlines and ad revenue. On the opposite end of the spectrum, several of the second-tier award shows suffer from vanilla presentations and a complete lack of credibility. The Billboard Music Awards, which sells itself as “the greatest musical party of the year,” doesn’t even pretend have a voting process. They determine winners through a sterile formula that includes “sales, radio airplay, streams, and social media interaction” according to the L.A. Times. Not only does this take the fun and surprise out of the process altogether, but it rewards the most mainstream of mainstream artists (see the 2015 show, when Taylor Swift walked away with eight awards). Even the American Music Awards, conceived as a sort of populist alternative to the Grammys, has been mired with a history of strange stunt nominations. Just look at 2009, when Michael Jackson’s greatest hits album Number Ones was posthumously nominated alongside new music by T.I. and Eminem (inexplicably grouped into the Favorite Pop/Rock Male Artist category), in what felt like a sad attempt to profit off the late singer’s death. Despite this, neither of these shows have managed to gain nearly the same respect or audience as their MTV counterpart. The VMAs lie right in the sweet spot between these two extremes. While the award show might embody a style-over-substance approach, it differentiates itself from the competition by acknowledging its shallowness up front and swiftly moving on. Instead of portraying the awards as the “pinnacle of achievement” in the music video universe, the VMAs celebrate the way music videos intersect with popular culture by letting viewers weigh in on which works they like the best through an online voting process. The award show is unashamed to parade around stars and let them be their strange, controversial selves while still allowing some of the lesser-known nominees to take the stage and perform. It also takes the real, professional categories like Art Direction and Choreography out of the telecast entirely (and out of the hands of the voting public), not wanting to weigh down a fluffy award show with serious accolades for non-famous people. This doesn’t make the VMAs somehow superior to its counterparts, but it does make the whole spectacle much less disingenuous. This doesn’t make the VMAs somehow superior to its counterparts, but it does make the whole spectacle much less disingenuous. On one end, the Grammys trumps itself up as the end-all of music judgment while consistently rewarding mediocrity. On the other, shows like the Billboard Music Awards and the AMAs rely on unsatisfying winner formulas and stunt nominations to try to draw viewers, but the awards don’t carry much weight in the industry. 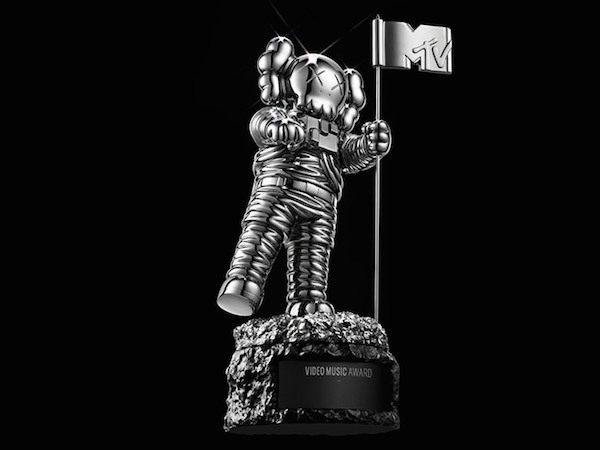 The VMAs, by contrast, celebrate the spectacle, encourage the controversy, and at the end of the day, embrace and embody the ridiculousness of the entire award show industry while still maintaining an air of credibility. It might sacrifice some of the Grammys venerability or the Billboard Music Awards’ pure pop appeal because of that, but it also loses the strange air of insider dealing and blatant hypocrisy that casts a long shadow upon its self-congratulating relatives. Love or hate the VMAs, you have to respect their honesty.